In this Aug. 8 2013, file photo, then-FBI director Robert Mueller speaks at the International Conference on Cyber Security in New York City. America has waited a year to hear what special counsel Robert Mueller concludes about the 2016 election, meddling by the Russians and — most of all — what Donald Trump did or didn't do. But how much the nation will learn about Mueller's findings is very much an open question. Deputy Attorney General Rod Rosenstein may end up wrestling with a dilemma similar to the one that tripped up fired FBI director James Comey: how much to reveal about Trump's actions in the event the president is not indicted. Rosenstein, who lambasted Comey for disclosing negative information about Hillary Clinton despite not recommending her for prosecution, may himself have to balance the extraordinary public interest in the investigation against his admonition that investigators should not discuss allegations against people they don't prosecute. The quandary underscores how there's no easy or obvious end game for the investigation, which last month reached its one-year anniversary. Though Mueller is expected to report his findings to Rosenstein, there's no requirement that those conclusions be made public. And whatever he decides will unfold against the backdrop of a Justice Department inspector general report that reaffirmed department protocol against making public statements about people who aren't charged. If he decides a crime was committed, it's theoretically possible he could seek a grand jury indictment, though that outcome is seen as questionable given a Justice Department legal opinion against charging a sitting president. Trump's lawyers say Mueller's team has indicated that it plans to follow that guidance. 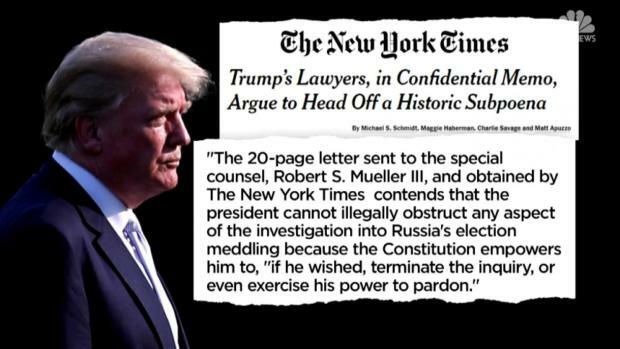 Depending on his findings, he also could seek to name Trump as an unindicted co-conspirator in a case against other defendants, an aggressive step taken by the special prosecutor who investigated President Richard Nixon. In Clinton's case, Comey held an extraordinary news conference in which he said Clinton did indeed have classified information on her private email server and branded her and her aides as "extremely careless." But he concluded his remarks by recommending against charges, saying no reasonable prosecutor would bring a case. That decision was condemned last May by Rosenstein, who said "we do not hold press conferences to release derogatory information about the subject of a declined criminal investigation." Inspector General Michael Horowitz echoed that criticism in a 500-page report this month that accused Comey of breaking from protocol. And Comey's successor, Christopher Wray, further rebuked Comey at a congressional hearing last week, saying, "I think the policies the department has governing commenting publicly about uncharged conduct are there for good reason." Solomon Wisenberg, the deputy independent counsel in the Whitewater investigation involving President Bill Clinton, said he struggled to envision Rosenstein making public the extent of Mueller's findings if there's no indictment "because it would be completely inconsistent with the criticism of Comey — and it wouldn't be right. It wouldn't be the right thing to do." 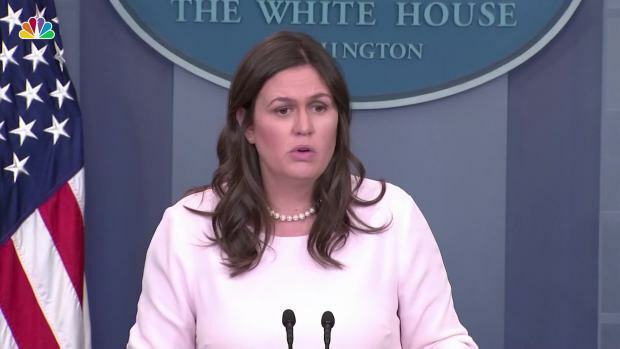 White House press secretary Sarah Sanders was asked repeatedly about a statement in August in which she said President Donald Trump did not dictate Donald Trump Jr.'s statement in regard to a Trump Tower meeting with Russians. That statement has been contradicted by Trump attorney Rudy Giuliani. As the investigation inches toward resolution, there's not much reliable precedent to predict the outcome here. Independent counsel Ken Starr issued a public report on Bill Clinton, but his appointment came under a different law and he operated independent of the Justice Department. A special counsel investigation into the 2003 leak of a CIA officer's identity resulted in criminal charges against a White House official, I. Lewis "Scooter" Libby," but produced no public report summarizing the probe. 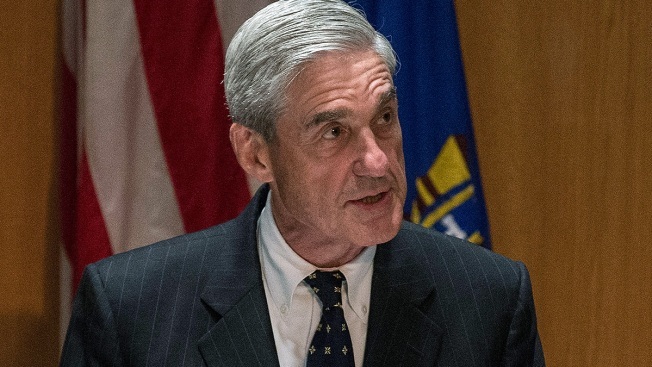 Regardless of the conclusion, the public clamor for a full accounting may make it impossible for Mueller to wind up his investigation with only minimal comment, said Libby's lawyer, Bill Jeffress.